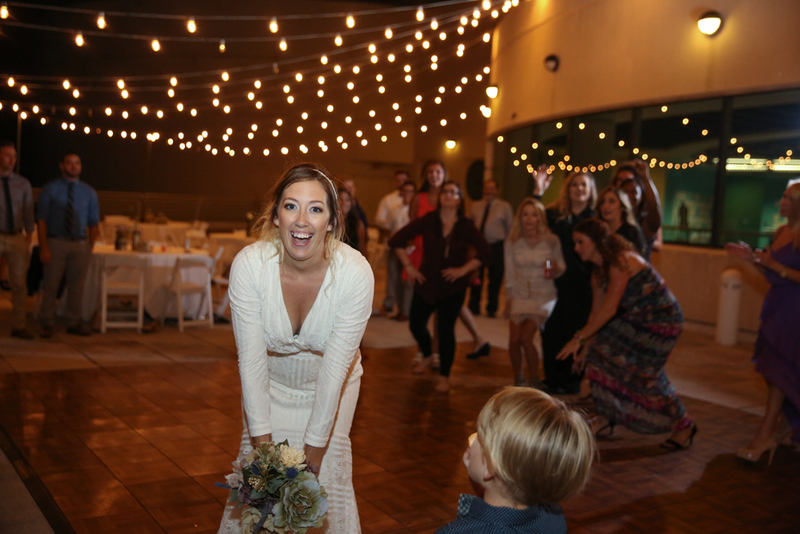 Erica and Derek had an awesome wedding, with a twist. 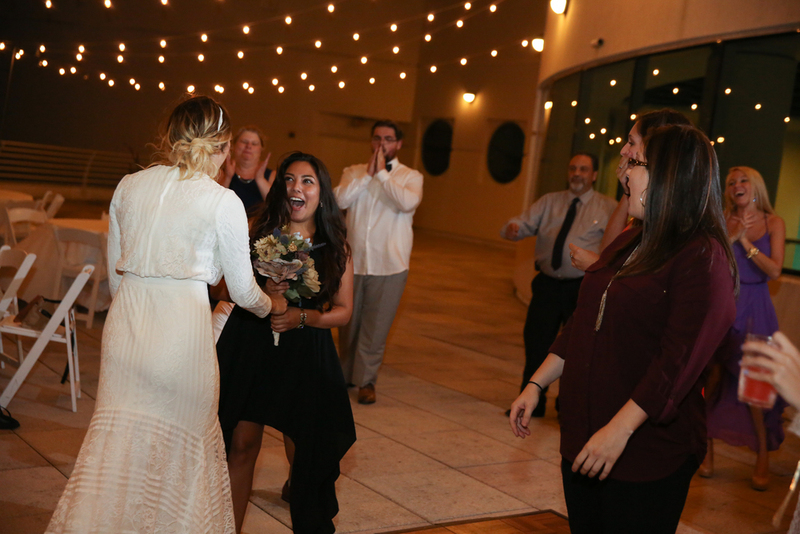 It was a huge shock to everyone at the Orlando Science Center because this bouquet toss was very different! 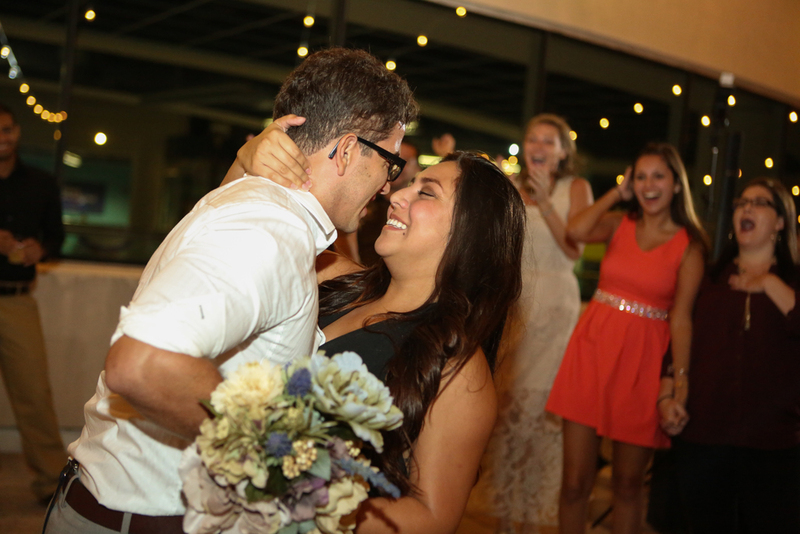 Erica faked a throw only to turn around and hand it out instead, well it wasn't long before she got a proposal, she turned around and there he was, down on one knee, and of course she said yes. Congratulations guys!